I knew that this game would be quite the sight. but that wasn’t enough, Ubisoft had tons more. It’s rave reviews are undeniably Valid. Until then I’ll be loving this game to it’s core. Wyverns The Yawhg is a choose your own adventure game with some interesting RPG elements. 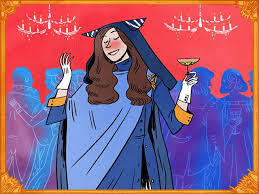 In The Yawhg you are living the life of which ever character you have chosen, going to one of a few places. Every time you visit and choose a task, you gain certain stats. After gaining your stats, one of many randomized events happen. Everything from being attacked by leeches to being asked to help the king with his marital issues. On the surface the game is very simply fun, kind of like watching a movie or reading a book. As you play it a few times you see some situations that come up and basically measure your stats. For example using your magic to quell an army of leeches heading for the city’s water supply. If your magic is too low, you will not be able to destroy the leeches and they will disappear into the water. While this doesn’t sound like a big deal, you will notice as you play through the lives of other characters, that the leech event effected the entire games world. After the leech scourge is released into the world, you are always in danger of feeling its wrath. When you go into the forest to chop some wood, you might find a man being devoured by leeches. When you go to work in the fields leeches might attack you by the waters edge. In all of these events you stats are measured and the out come of your choice depends on your stats. This makes for some very interesting gameplay. When you are faced with a situation that you don’t have enough stats or wealth to deal with, you want to get there again with the right stats. The beauty of it is that you can only get there with a healthy serving of luck. It is very fun watching as your decisions throughout the game help decide the fate of the story for each character. Some times you spend your life as a doctor then The Yawhg comes and you end up being mauled by a were wolf in the forest while running away from the pain of dead patients. The only downside to the Yawhg is the fact that it is sometimes repetitive. You see similar situations and can predict what will happen with decent accuracy. This has a large impact on the replay value of the game. If they added some more variance to the games situations, it would be an overall better game. Don’t get me wrong, it is a very fun game but it can get old pretty fast. Even if you’ve beaten it several times, it is still fun to watch your friends play it and watch their reactions. Some of the situations in the game are very dark, so keep an eye out for them they happen to be my favorite. The art in the The Yawhg reminds me of a childrens book. 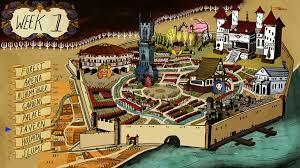 The colors are simple and the visuals are not too detailed, but the art still has the refreshing quality of nostalgia. It almost reminds me of one of those old paper back books sold at dollar stores with golden binding. The music is very fitting for the game, very simple but nice to listen to. 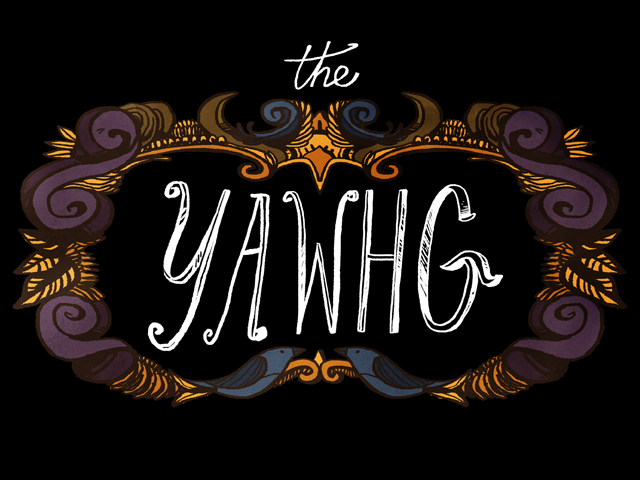 All together, I would say The Yawhg is a game every one should take a look at. It could use some improvements, but as it stands it is very fun and refreshing to play. 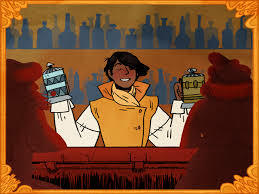 Though short, it is a lot of fun going through the story with some one, or alone. Gather 10 dollars with some friends, and see if you can survive when The Yawhg attacks. Available on PC. Ronimo Games’Awesomenauts is the perfect cross between an old school platformer and a Multiplayer Online Battle Arena, or MOBA. Awesomenauts is a 2D MOBA where you spend your time doing one of three things, killing minions, killing towers or killing other players. If you haven’t noticed, the game is all about killing stuff. Killing stuff and having awesome amounts of fun! You kill masses of droids, as you defend your tower from their onslaught. These droids drop the games currency, solar. Solar is used to buy upgrades for your characters skills, and you use these abilities to destroy your opponents. The overall goal of each match is to eventually make it into your enemies base, and destroy their drill. While it sounds like your average MOBA, it has a certain charm that helps it stand out among better known MOBAs, like League of Legends and DoTA. First off, as you wait to respawn there is a small mini game, where your character gets dropped in and you get to gather some solar. This helps the character stay competitive even after dying a few too many times. The second major asset to this game is it’s very fun platforming. It literally adds another dimension to the play, even while you are shooting and chasing you need to keep in mind your opponent can jump out of the way. If you don’t master platforming in Awesomenauts, you are going to die very often. Then theres the upgrade system. While in other MOBAs there are a bunch of items to learn about and optimization to figure out, in Awesomenauts, things aren’t nearly as complex. Each characters abilities are enhanced by items in a very straight forward kind of way. If an item is going to enhance your characters attack speed, it will simply say it, no stats to figure out. All of these mechanics would be pointless if they weren’t brought to life with the games interesting cast. The art and music for the game reminds me of old school WB11 cartoons. Everything about the game is pretty polished, especially the cool music for each characters selection screen. For around 10 dollars on Xbox,Ps3, PC, Mac and Linux this game is a whole lot of fun for some one prefers a little more action from their online PVP games. Anyone interested in fast paced platforming or MOBAs should give Awesomenauts a chance. 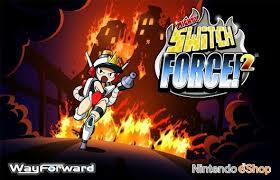 Wayforward’s follow-up to Mighty Switch Force, Mighty Switch Force! 2 , is an interesting game. 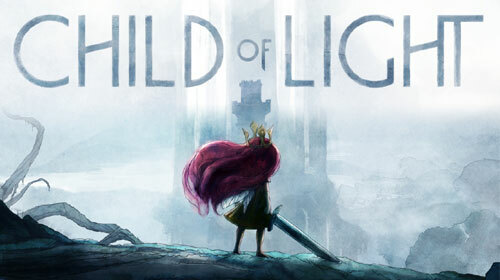 It is also the only thing on the Nintendo eShop with an indie tag, which made me feel obligated to give it a try. Mighty Switch Force! 2 is your standard platforming game. You run around saving 5 girls per stage, while racing against the clock. First off the game has no type of story. The level system is a simple menu and every level is called an INCIDENT. At first this made me weary of the game, but after playing for while I came to appreciate it. Especially when I decided I should go back a few levels and try to beat my own time. The mechanics in Mighty Switch Force! 2 are very simple but execution is where the complexity comes in. You have a water pistol, similar to F.L.U.D.D from Super Mario Sunshine, you use this to put out fires and deal with enemies. The other weapon in your arsenal is the “switcher” on your helmet. It pushes certain blocks from the foreground to the background and vice versa. When you switch a block onto one of your enemies it slams them into the screen killing them, just be careful because this will kill you too, simple but very fun. When it comes to art, Mighty Switch Force! 2 has it in the bag. The visuals are engaging and the art style is simply fun to look at. The animations are very smooth and I love the tiny details, like the way the switcher lights up when you use it. The music is not amazing, but it is pretty decent. It reminds me of the Super Nintendo Era. One thing I wish the game did better was use the 3DS’ lower screen . As it stands the screen is used as a radar, and a way to track your progress. My only other complaint is that the game should have some type of story. The world Wayforward created seems very interesting, and I’d love to know whats going on. For example, why are there only women, did all the men kill each other? Overall, this game is a good time killer. You aren’t going to get much more out of it than mindless fun as you race yourself to the finish of each INCIDENT. The biggest strength of the game is the fact you can simply open up your 3DS and jump into the game. Perfect for breaks at work, or while you wait for some one at a train station. Remember to keep an eye out for cool easter eggs… like the metroid-esq death animation.